The exodus to the Alps is in full swing. With boot bags full of helmets, ski suits and jars of peanut butter, snow-lovers will travel to France, Switzerland and Austria for a week of snow fun. Costs: on average more than 1,000 euros per person per week. And that does not work. "When I tell them that we have winter sports hotels in Turkey, the Dutch look at me like I say Neptune or Mars." Murat Bilal has been running hotels in Turkey for twenty years from the Netherlands. They are called Máxima, Amalia and Alexia. A tribute to the Dutch royal family, says Bilal, although only a few thousand Dutch people have visited hotels in twenty years. At Máxima you can sunbathe and swim, Alexia and Amalia are ski hotels in Hacılar, near the volcano Erciyes in Central Anatolia. Erciyes is high, 3,916 meters, and there is snow. In fact, Bilal says, four to five months a year, parts of the Turkish mountain area are unreachable due to snow. The ski area in Turkey is still under development, and there are now about 100 kilometers of pistes. Ariane is under construction. Why the Dutch hardly come? "I dare to say that 99 percent of the Dutch do not know that you can ski here." While the lira is low, the low season in Turkey has already started for a long time and the hotels are right on the slopes, Bilal says. "The big difference is the ski area, which is a lot smaller, so for real fanatical skiers it is too small, we do not have après-ski and parties with a lot of drink, after skiing we drink tea or coffee." The cost for such a week skiing on the Turkish volcano, all-inclusive, with ski pass and a trip to Cappadocia? About 700 euros, says Bilal. "Then it's also a holiday for the women, because all the food is taken care of." The alcoholic drinks have been taken out of the all-inclusive package, thanks to the Germans and the Dutch. "We once had guests from the Netherlands and Germany who came to get beer all day long and drank about 25 glasses per person, so we stopped doing that." Ski holidays are simply more expensive than sun holidays. For a sunny summer vacation you only need a swimsuit, for a winter sports holiday there are quite a few costs, says Arjen de Graaf of the Dutch Ski Association. "Shoes, glasses, ski wear, helmet, a ski box for the roof, a lift pass, it's expensive, you can make it as crazy as you want. There are ski jackets of 40 euros, but you have them with a null behind it. " Moving to other European ski resorts is cheaper, says De Graaf, but the majority of winter sports enthusiasts do not even look for it. In the Bulgarian ski resort Borovets there are sometimes Dutch people, says Larisa Lindeboom of Rodina Travel, a travel organization that organizes winter sports holidays in Bulgaria. "Because it is close to the airport in Sofia, but the Dutch do not want to travel too far for skiing." 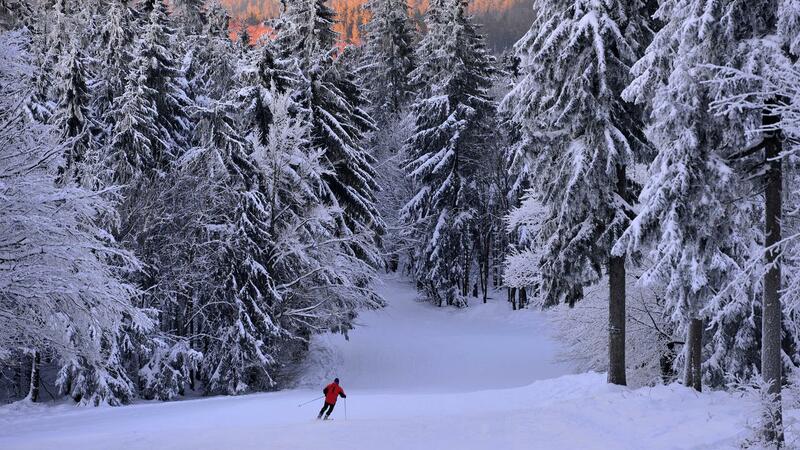 Russians, Greeks, Turks and English come to the Bulgarian ski resorts. The Dutch hardly. Flights to Sofia cost around 100 euros in March and the price of a ski pass is much lower. For a stay of six days in the Bulgarian ski resort Borovets, including ski pass, you pay 538 euros for two people, according to data from the Dutch Ski Association. For comparison: a six-day stay in an apartment close to the piste on the Swiss Matterhorn, including ski pass costs 1,642 euros. Another unexpected skiland: Poland. A week in an apartment in the Tatra mountains: about 200 euros for two people. Life is cheap, and a ski pass for the ski area in Zakopane equals 100 euros for a full week. European mountain areas are certainly beautiful, but the Matterhorn is unique, says De Graaf. Real ski fanatics like to pay extra for that. Moreover, the Alps have a ski- culture where the Dutch just adore: a lot of beer, party and conviviality. De Graaf: "By car to the Alps, sandwiches for the children, ski box on the roof.Also, most people like a Dutch ski instructor.Skiing in Turkey or Bulgaria can be pretty, but it is different away from the ski- culture. "